May Gibbs is one of Australia’s best loved classic children’s book writers and artists. May’s deep love of the Australian bush was portrayed in her work, engendering in children her own love of nature. 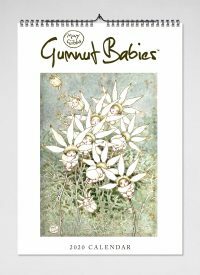 The Gumnut Babies, May’s classic book about Australian bush fairies, was first published in 1916 and was followed by many other Gumnut stories including her famous creations Snugglepot & Cuddlepie. When she died, May Gibbs bequeathed her works to Northcott Disability Services and Cerebral Palsy Alliance. Through her foresight, May Gibbs has helped thousands of Australian children with disabilities and their families.